Over the years, White Commercial has developed educational materials for the purpose of helping our clients succeed in various facets of their business. These resources have been so useful and well received that they’re used at universities for teaching students and by major commercial grain elevators for training their own staff. Gain an understanding of the fundamental concepts and practices of basis trading. Develop a working knowledge of the proper procedures and routines involved in the execution and administration of a grain company’s daily basis trading activities. 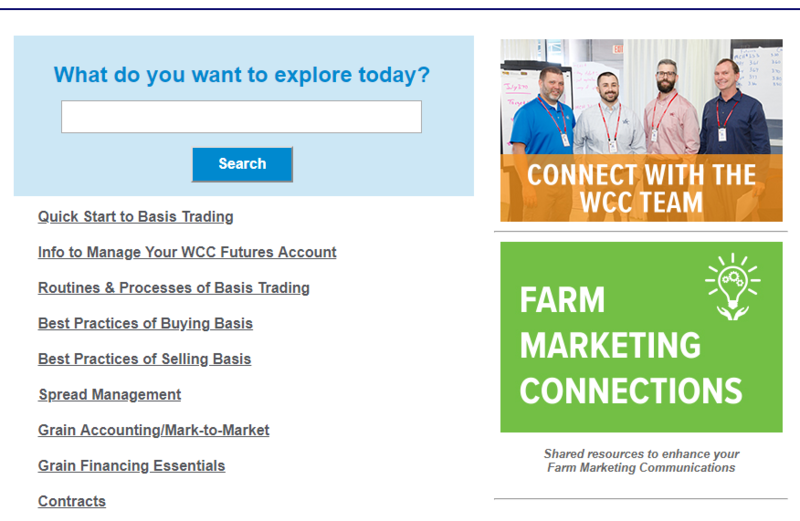 The White Commercial Customer Resource Center offers a wide array of basis trading and grain merchandising materials. Brokerage customers have exclusive access to these complete educational programs, tools and shared experiences of merchants from around the country. Armed with this information, White Commercial customers build their own strong teams of merchandisers, grain originators and supporting staff within their organizations. The Art of Grain Merchandising is the grain industry's premier text on the skills of basis trading. This 500+ page book details the practices of grain merchandising that are utilized by today's most successful grain businesses. The text includes a special section on the legalities of grain contracting and comes with a supplemental CD that contains easy-to-print worksheets featured in the text. For many farmers, marketing crops is difficult. The Farmer's Edge offers practical advice for clearing away the noise and focusing marketing efforts on the only thing that matters–profit. 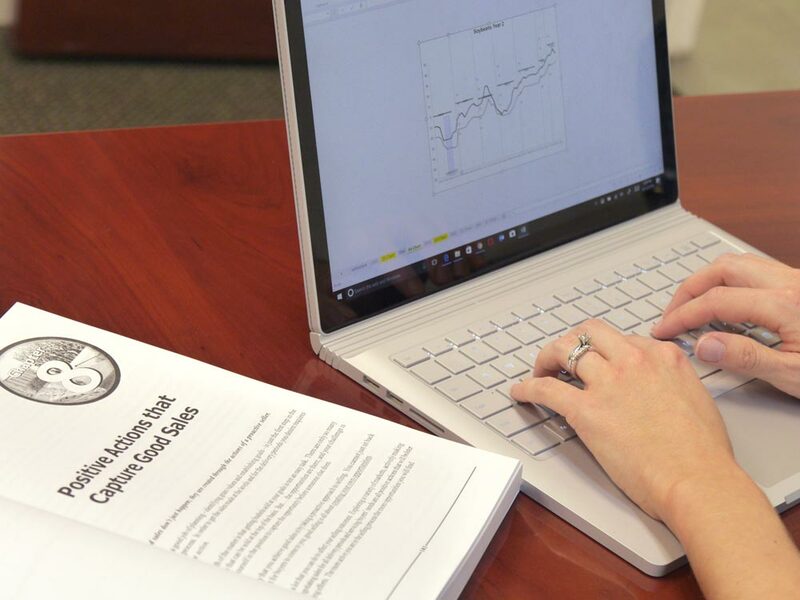 This short, easy-to-read book can have a powerful impact on any producer, and it has become a favorite alternative for our clients to hand out instead of the usual hats, pens and other promotional items.